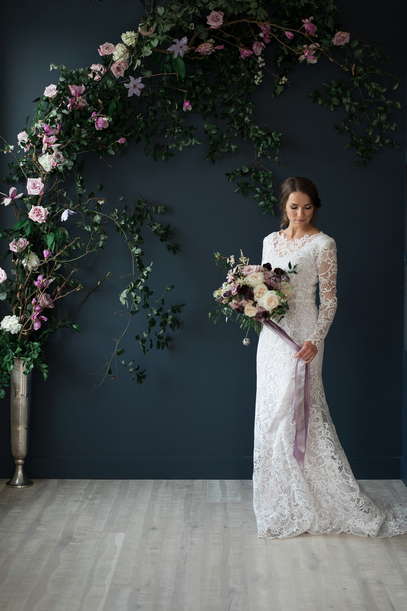 This stunning wedding editorial was featured on The Bridal Theory, and we are so inspired by all of the moody tones and details! 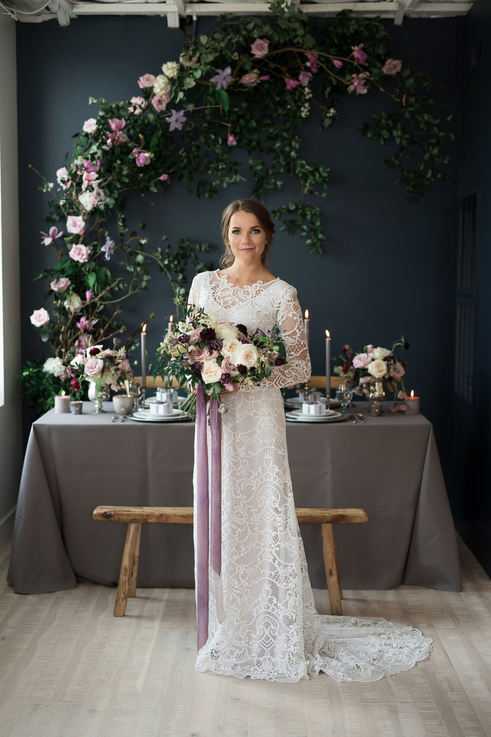 The featured dress is our Hilary gown, a full lace gown lined in lavender with a row of buttons down the back. The lace is an exquisite and unique guipure lace resembling battenburg. 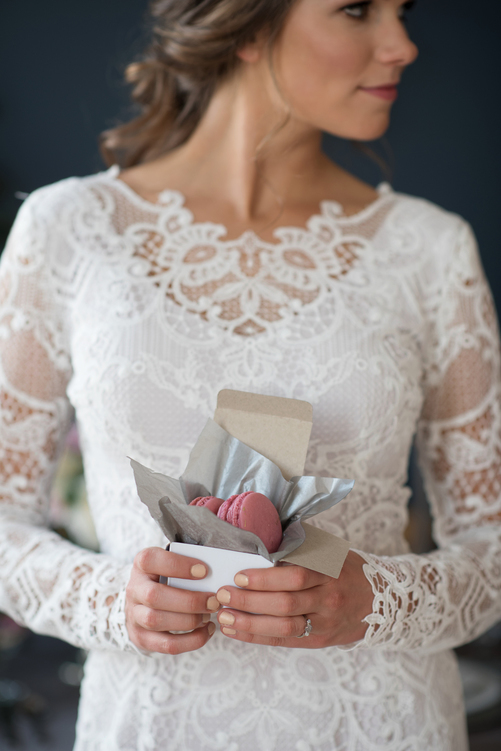 we've never seen anything quite like this lace and we are obsessed! To see more of the wedding setup and details on The Bridal Theory, click here.